Last year I missed PLAY! A Video Game Symphony when it came to Stockholm. I was therefore very glad when it returned, so I immediately bought tickets as soon as I knew they were released. I had very high expectations of it. Not only would they play songs from franchises such as Castlevania and Final Fantasy, but also songs from some of my favourite Mega Drive games, including Sonic The Hedgehog and The Revenge of Shinobi. So how did it turn out? I had 500 Swedish Kronor riding on this, so I thought it better be good. But first I’ll tell you a little bit about the symphony tour itself. 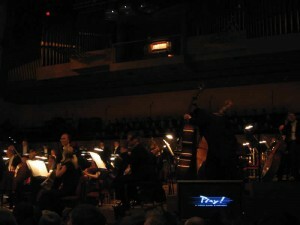 It was based on the Dear Friends – Music from Final Fantasy Symphony Tour concept. Nobuo Uematsu, the dude behind ALL the Final Fantasy music up until number IX (and my preferred game music composer), teamed up with some crew (Jason Michael Paul Productions Inc.) to have the best orchestras in the world play re-arranged suites of his work. The idea then expanded to include music from many other franchises, with many more composers and arrangers involved, including Grammy Award-winning conductor and Chicago Pops Musical Director Arnie Roth, who serves as the principal conductor and music director. The people playing in the concert itself come mainly from a local orchestra. 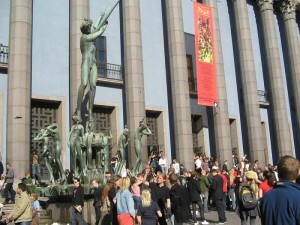 In the case of Stockholm it was The Royal Stockholm Philharmonic Orchestra. 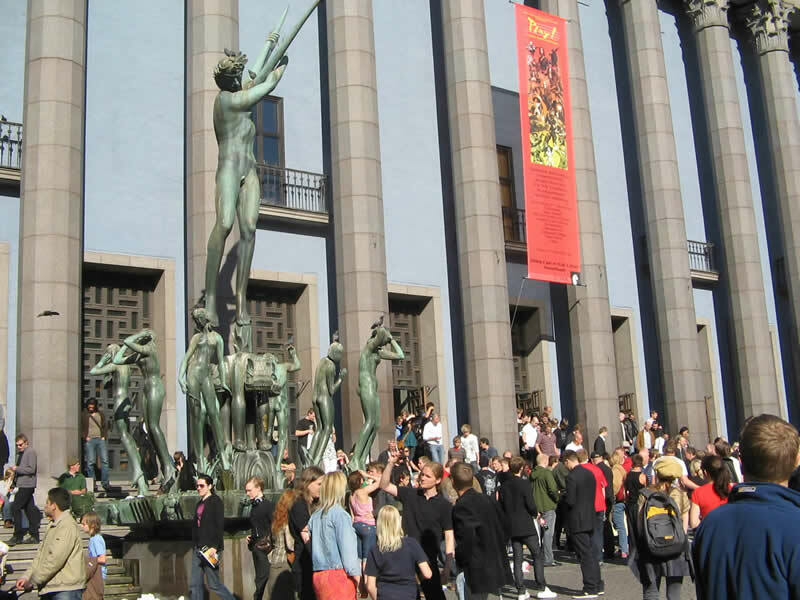 The choir, which the site of this tour claims is “the finest and world-class,” is from the Kungsholmen Gymnasium. Wow. They had two days to practice with the world tour crew, and probably a damn lot longer all by themselves. At this concert, we also had the composer of the Silent Hill soundtrack, who played the guitar during that entry, and also a Swedish metal band, Machinae Supremacy, which played during the last song. It was the second of June, a Saturday, and it all began at three o’clock. I went to it with my friend, who also likes video games. In the hall of the building, Stockholm Concert Hall, they had some merchandise, so I bought a t-shirt for a hundred and fifty Swedish Kronor. I didn’t buy the program for that amount of money, but I would have if it cost twenty Swedish Kronor (people in this kind of business always try to rip you off). The audience seemed to be of mostly people in their late twenties, but there were quite a few older folks too. Many people had g33ky clothes and manga-style haircuts. big I think, and had mostly ladies. It was hardly heard, especially the male part. Between the songs, the conductor repeatedly signaled them to sing higher during the songs. The singing was mainly backgroundish “Aaaahs” and “oooohs,” and I never heard any lyrics. As usual when it comes to concerts, it’s the material you recognize that sounds best to your ears. Therefore, the suites of Metal Gear Solid, Blue Dragon, all the PC games, Silent Hill and others all pretty much sounded the same to me. There was a huge list of arrangers mentioned in the credits, but it still sounded like it was all made by a single guy. It didn’t entertain me and neither did the old movie score they put in somewhere in the middle to show off what had inspired the composers. No one had ever heard it before and the audience looked as bored as me in front of an Xbox. The Super Mario Bros. theme is extremely famous, but it was obviously put into the track list because of that, and not because it’s a great music score, in my humble opinion. I respect their inclusion of Zelda though, a far better choice which worked great with the orchestra, as well as the classic first level-track from Castlevania. I also liked the Commodore 64 medley, of which there was one part I especially liked, Forbidden Forest. I downloaded sids of that when I got home, but it was worse, as an opposite to everything else played this afternoon. The Amiga medley worked out okay too, but I didn’t hear or recognize the classic theme by Chris Hülsbeck during the Turrican part. Funny thing: a Swedish FPS, ugly as Duke Nukem 3D (not the Mega Drive version, fortunately) was represented with one track. Picture in your mind a symphony orchestra playing Beethoven-style music with a video of extreme blood and gore beyond Mortal Kombat and Night Trap, and try not to raise your lips. How were the Sega songs then? Well, first of all, there was no Shenmue this day, which didn’t bother me since I haven’t played the game much actually. Then there was no Sonic The Hedgehog medley EITHER, and that pissed me off. Oh well, I read on Wikipedia that The Revenge of Shinobi was going to have its submission, and it just HAD to be good… but it wasn’t. They chose to play the upbeat “story” track Long Distance and the first level track The Shinobi. They were slowed down to doom metal speed, destroying the damn fine rhythm those tracks had. I think the tracks “China Town” and “My Lover” would have instead worked out perfectly for this concept and play tempo. Another thing that bothered me a lot during the concert was the fact that they usually tried to expand the tracks by filling, over and over. This was also the case with Yuzo Koshiro’s work, which made the whole thing a huge disappointment. The audience didn’t seem to recognize the game or even the musician barely at all – the house was filled with Happy Nintendo/Final Fantasy Nerds though, so it didn’t surprise me. Their happiest moment was the final track, which was also the best in my opinion. Dancing Mad, final boss track from Final Fantasy VI (III, if you live in America). Ironically, it was probably the least arranged of all and played pretty much the same as in the game. I’m glad they didn’t spoil its greatness with ugly padding. In the beginning, it is pretty tiresome, but as it moves on it builds up and becomes better. The highlight is the part when the final form of Kefka is appearing, the fast part. This was also when Machinae Supremacy played, and hell they sounded awful. Since their singer is an ex-guitarist, they decided to have him play the guitar too, because it was an instrumental track. It caused an aural chaos of distorted porridge, where the lead guitar was drowned in the other three axe-wielders playing and the drummer’s cookie can sound. It didn’t mix up well with the orchestra either, but that’s obvious. Then we also had the choir, and since they, the band and the orchestra where out of place with each other, it was a acoustic mess to say the least. Still, there was some greatness to see, or hear, in it. You don’t experience this at home. The massive sound of so many instruments surely lifted the song to a new level, and it surely ringed in my head the next few days as well as raised some hairs on my neck. It would just have been so much better with one less guitar, better equipment for the band, and proper acoustics. To have the gamers look at something else than middle-aged musicians in penguin coats, there were some screens with video from the games played. The newer ones usually had oh-so-lame FMV while the retro games were represented by some dude playing the first level or so. The guy who took the video to our lovely ninja game obviously hated it and only let the demo roll a few times and then started the first level where he only jumped around like an idiot. The big and famous franchises had lots of different levels and games shown in their videos though. I felt that they didn’t bother to show off what a great game Revenge of Shinobi is, like it was only some kind of filler material. I must also say Swedish gamers are morons who apparently know nothing about culture, since their applause depended on what shown on the video screen and not on what was be played. “Oh, video footage from my favourite video game, Super Mario 64 – I MUST clap my stiff hands!” Clap your hands when you HEAR something you like when you are at a concert (but not when the songs are played during a symphony). I was greatly disappointed by this concert. It was way too slow and monotonic for me to deal with. Maybe I’m not old enough, maybe I haven’t played enough of the late era mainstream big games, but I still enjoyed some of the songs, and it was indeed something special that I will never hear again because I’m sure I won’t attend next time they come back, since it wasn’t worth the money. My pal said he would have preferred a retro-only concert, and I have to agree. I’m not into these new consoles at all. I’d rather go to a techno remix or heavy metal concert with covers of video game music with stuff like Mega Man, Phantasy Star, and Thunder Force in fast-paced, heavy versions, not necessarily without violins though. The violin is a cool instrument. If you happen to like all kinds of games and their soundtracks, as well as classical music, I assume this is something for you. 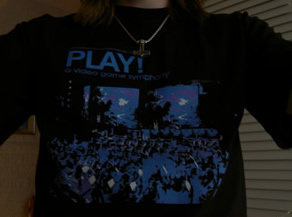 I have nothing against classical music, but this just didn’t do it for me, especially as a Sega fan. The chip tune and VGM sounds are more my thing, so I generally prefer listening to game music in front of my TV with a controller in my hand.